There are five main events that OkiAJET hosts for the JET year. Event Coordinators and other OkiAJET members plan and highlight additional events for the community about once a month. At our main events, should there be a fee attached to it, often outer island JETs will receive a discounted price. We hope to see your lovely faces at some OkiAJET events! Thanks to the warm tropical weather, Okinawa is the first prefecture in Japan where the cherry blossoms bloom. The sakura (cherry blossoms) are also different from those on the mainland which makes them extra special. 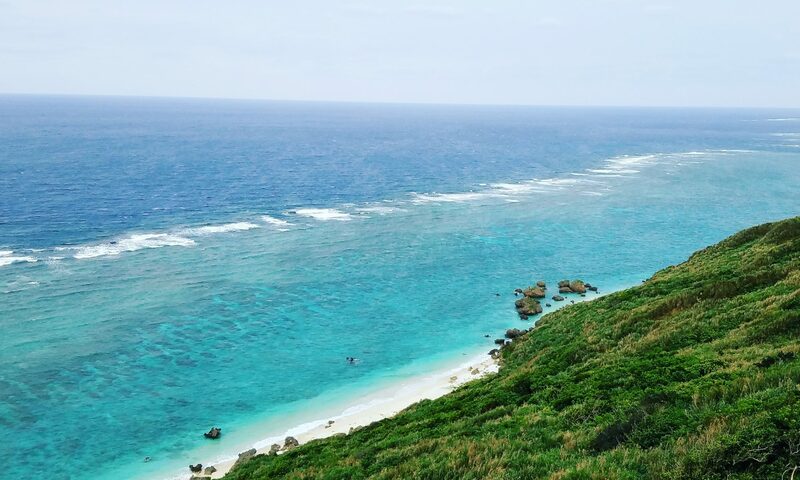 So come up to the north of the main island, to Nakijin and Nago, and join us in an early hanami (cherry blossom viewing party) in January/February. The Farewell Party is held at a pension (beach house) in July, a few weeks before we have to say a tearful goodbye to those JETs leaving us for new adventures. OkiAJET’s Welcome Party is held in the fall time, either in September or October, after the new JETs have arrived, settled in and got some yen in their bank accounts! Past Welcome Parties have included beach bonfires, waterfall treks, and visits to outer islands. We welcome our first year JETs in style. Every year in November, JETS gather from all parts of the prefecture to the Board of Education in Okinawa City for the Annual Skills Development Conference. Although the two-day event itself is run by the Prefectural Office, OkiAJET has got you covered on all aspects social. From a dinner on the first night, to an after party at a pension on the second night, a charity event, and maybe even some swag, this is a special time of year to see your fellow ALTs and CIRs.